A PIECE of WA bicycle history uncovered in a bike-frame builder’s workshop is in need of a new home after being rescued by a Kalamunda resident. 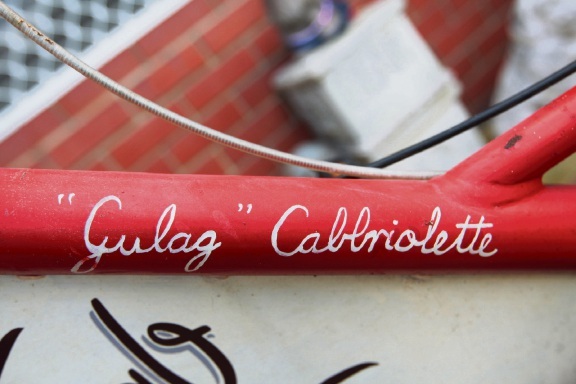 The pedicab, named the ‘Gulag Cabbriolette’, which hints at its origins, is believed to have been built in the 1970s by Fremantle Prison inmates at the prison east workshops. Several years later, the unusual four-wheeler became a familiar sight around Fremantle CBD when it was used as transport during the America’s Cup campaign of 1987. After the heady days of the cup, it ended up in a sorry state at a Guildford antique shop, where it was purchased and taken for repairs to a Palmyra bike-frame builder who specialised in making tricycles for the disabled. It was never picked up and left to gather dust for nearly 30 years. 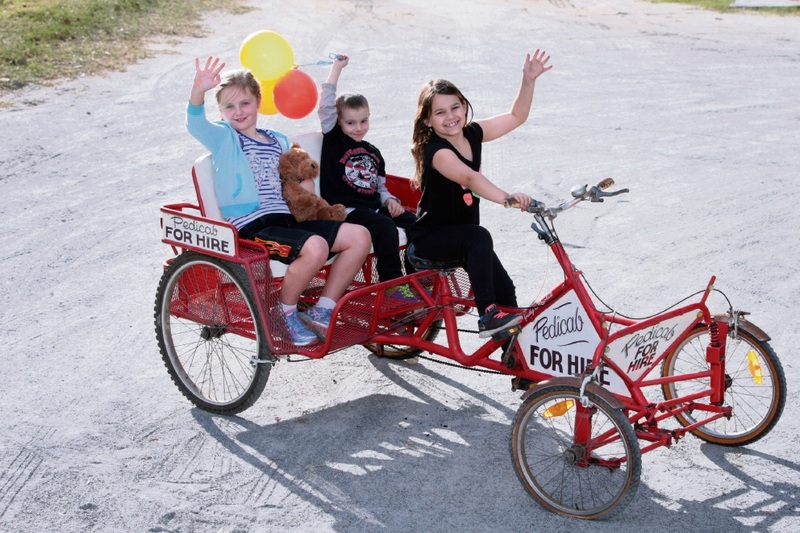 The elderly bike-frame builder recently moved into a retirement village and asked long-time friend Stephen Lack, of Kalamunda, if he would find the pedicab a new home. With nowhere to store the bike, he urgently needs to find a new owner. In the meantime, his daughter Bianca and her friends are having fun putting the four-wheeler through its paces.